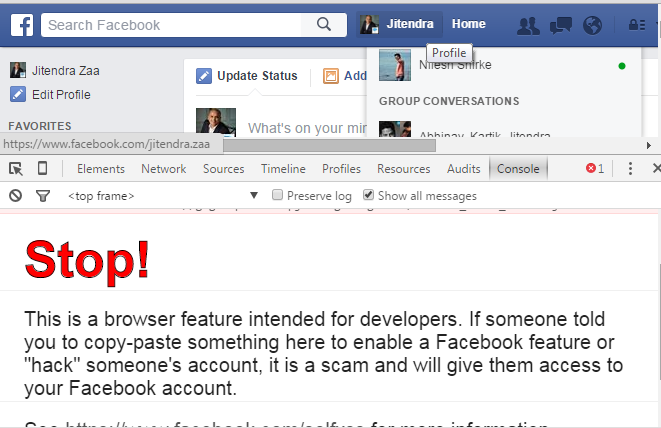 Recently, I noticed something amazing in Facebook console when I pressed “Ctrl+Shift+J” (Developer tools) as shown in below image. Initially i gave though to use visualforce remoting however challenge was how to show progress bar and same challenge was with custom controller or extension also. So, i decided to create one simple Apex REST API to upload attachment. In this article we will see how to use Camera and Audio recorder of mobile device in Visualforce and upload as chatter file. 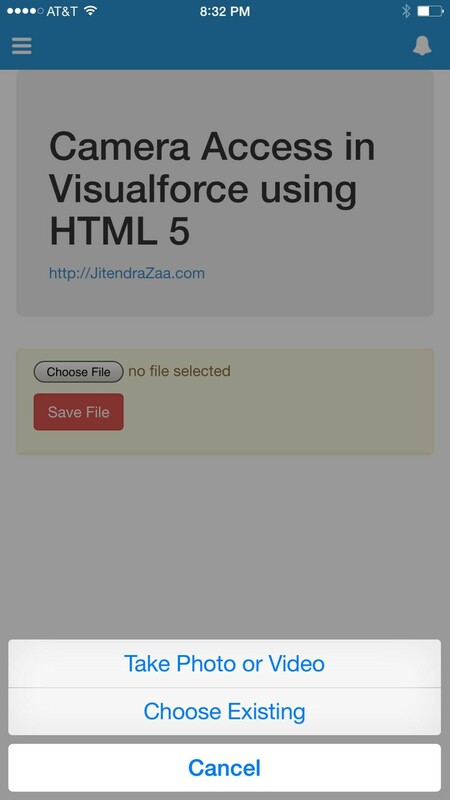 It may look that it is very tricky to access device camera and audio control in Visualforce however you may be right if there were no HTML5. Thanks to HTML5 for magic. 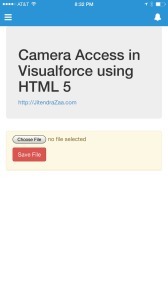 One of many features of HTML5 is capability to store data on client machine with the help of “Indexed Database API“. 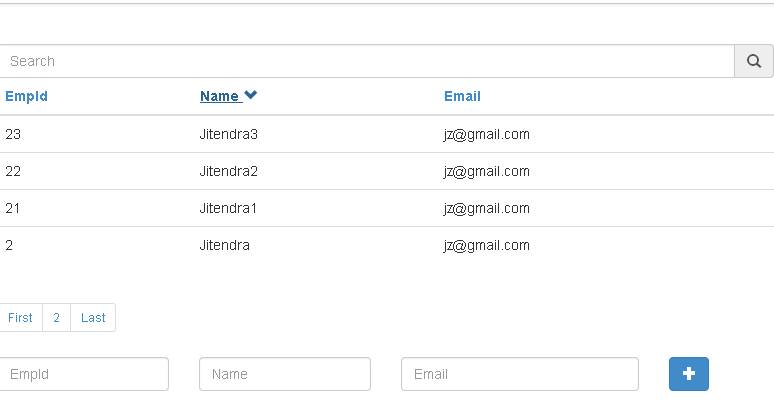 Using this technique web developers can add offline capabilities to their application. Currently almost every modern browser supports “IndexedDB”. 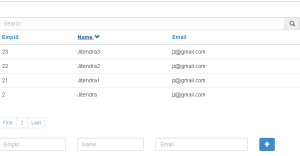 Very first step in IndexedDB is opening database. Below Code Sample will explain the process.